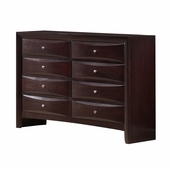 An expression of your modern flare, the Brinley Cherry collection features sensuous curves and sleek lines. 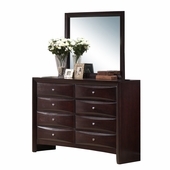 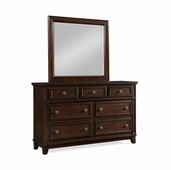 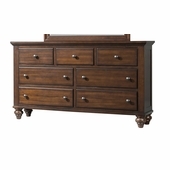 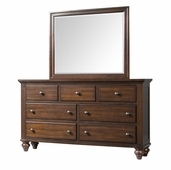 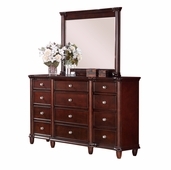 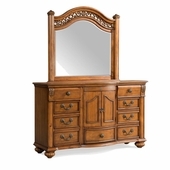 This seven-drawer triple dresser is the ideal addition to your master bedroom. 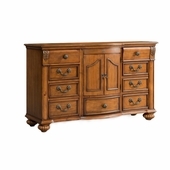 With abundant drawer space and a wide stance, the Brinley dresser will hold and protect your favorite items for years to come.